ActivePresenter 7 – a professional screencasting tool and video editor has a very new feature that makes it even more powerful than before. It’s Green Screen Effect for videos. It’s the feature that both video editing newbies and experts need. Green screen, technically known as chroma-key, is the technique of replacing (keying) a consistent color (chroma) with another color, image or video. This feature lets you place one video/image on top of another. You often see this technique in movie stunts or in weather forecast where a presenter stands in front of a moving weather map. Although it’s called green screen, you don’t have to use a green screen all the time. In fact, any solid color can be used, but green is the most commonly used because it provides a good contrast and luminescence and rarely occurs on the human body. How to Use Green Screen? Knowing how to use green screen is a good way to bring your videos to the next level. For example, you can definitely film yourself in front of a green or any consistent color background, and then use ActivePresenter to replace it with other spectacular image or landscape video. How fun and interesting it is! 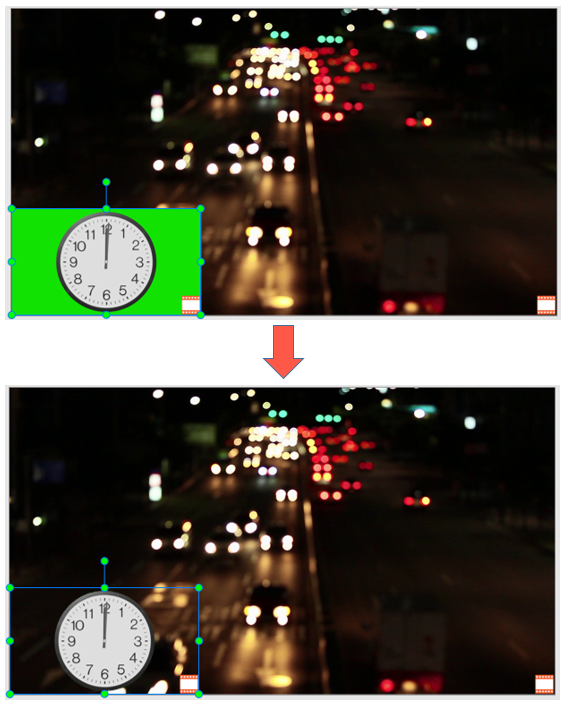 Step 1: Select the video object that you want to apply the effect. 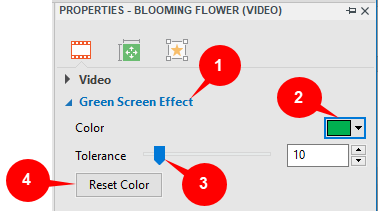 Step 2: Go to the Properties pane, access the Green Screen Effect section (1) in the Media tab. Step 3: Click the Color Picker (2) and select a color. Note: The selected color is the color of the video that you want to key out. 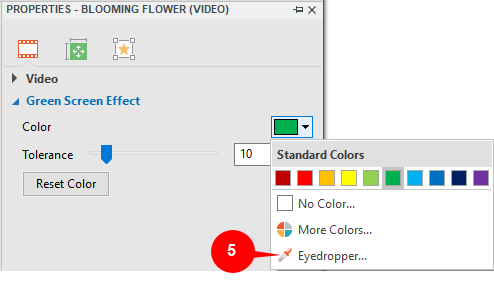 So, to replace it more exactly, you can use the Eyedropper to choose the color from the video. Step 4: Move the Tolerance slider (3) to adjust the range of color to key out. Higher values key out a wider range of color near the key color. After all the adjustments, if you don’t satisfy with the result and want to start all over again, click Reset Color (4) to revert all the changes. So, it’s easy to use Green Screen or chroma-key in ActivePresenter, isn’t it? Download ActivePresenter 7, try this feature today and get ready to have professional videos by yourself. Feel free to email us if you need more support.